Morro Bay is a beautiful coastal city that makes a great getaway from the hustle and bustle of your everyday life. When stopping by, one thing you’ll probably do is visit the famous Morro Rock, an ancient volcanic mound that is located at the end of Morro Rock beach. In addition to visiting Morro Rock, there are also plenty of other ways to take in the beautiful sights that this city has to offer. 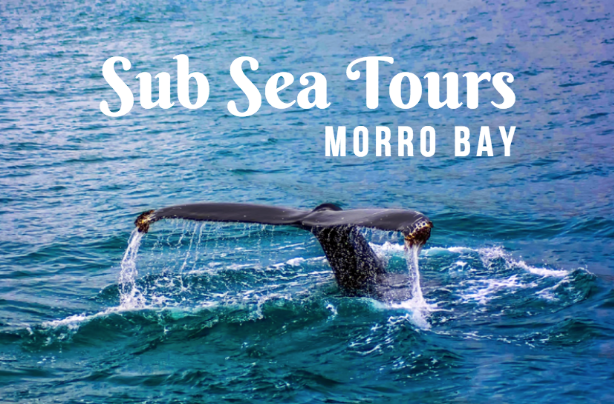 For a fun idea that is great for the whole family, visit Sub Sea Tours Morro Bay, a touring and kayak company that lets you adventure out in Morro Bay. Be sure to stay at Morro Bay hotels so you’ll be close to all the excitement that Morro Bay has to offer. Sub Sea Tours offer a variety of ways to explore the Morro Bay area. One exciting adventure they offer is to climb aboard the SSV SEAVIEW, a subsea boat tour, where you can learn more about the area. Along the way, the tour of Morro Bay will be narrated so you can learn all about the native seabirds, fish, seals, otters and other local wildlife. However what puts this adventure above other boat tours is that you can climb below deck where the bottom of the beat is surrounded by glass. This means that you’ll get an incredible view of the fish and wildlife that call the bay home. In addition to the exciting subsea boat tours, the company also offers other ways to enjoy Morro Bay. If you want to adventure on top of the water instead of below, the company rents out kayaks, stand up paddle boards and canoes. The company also offers the Dos Osos, a Catamaran that seats up to 24 people! The catamaran is for whale watching at its finest. Visit the website for more information on how to book your adventure.